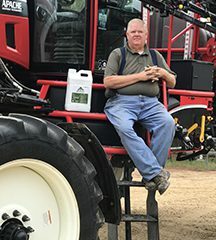 “I have sprayed my 900 acres of soybeans with UP-Front™. We applied it with 25 gallons of water per acre. With this combination, we have found great success. UP-Front performs very similar in comparison to the name brand product. “I have also seen great performance on pigweeds with Drexel’s UP-Front.